Billie Finn …………………………………. Billie Beach Jr. Friend of the Devil is the pilot episode for a traditional Western television series. The episodes will follow an ensemble cast of authentic characters through stories that provide moral accountability and action in the wide-open landscapes of the West. 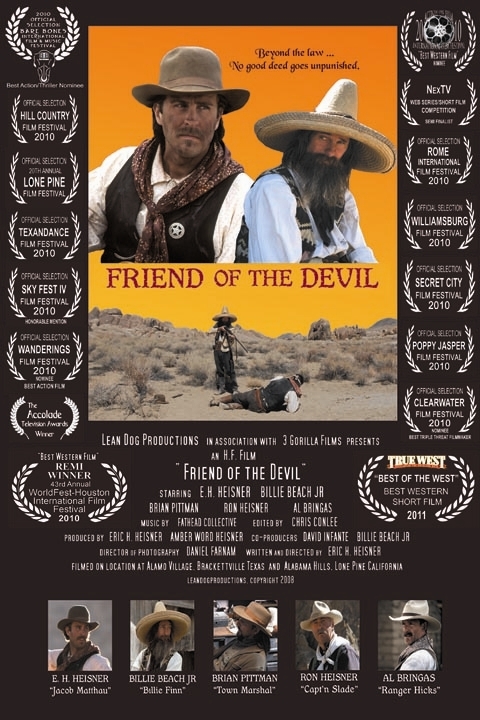 The short Western Film "Friend of the Devil" has screened as an Official Selection at 18 Film Festivals. With 7 Award - Nominations and 3 “Best of” Award - Wins, we have completed our Festival run. There are no passwords or login names necessary. Spread the word to your Family and Friends! The more times the film gets watched, the more advertising money will be put into backing the Channel and Independent Filmmakers. I appreciate your help & support. Thank you for keeping Westerns alive and relevant!